Seven members attended the same high school in Albury, where this young band of hopefuls came together in late 2012, and thanks to the early support of local audiences, The Northern Folk were able to launch themselves into music festivals throughout south-eastern Australia. Having now appeared at Woodford Folk Festival, the National Folk Festival, Bello Winter Festival, Bendigo Blues and Roots, Illawarra Folk, Swagger Music, Yackandandah Folk, Cobargo Folk, and most recently A Hitch To The Sticks Festival, they are a true staple of Australia's touring circuit. 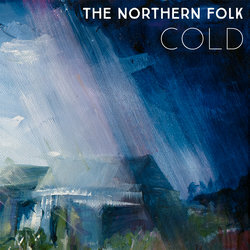 Combining two powerful vocalists, roaring horns, bashful bass and addictive percussion, The Northern Folk's big, diverse sound proves flexible both on stage and on record and is continuing to earn them a following wherever they travel. After moving to Melbourne at the beginning of 2017, the band quickly settled in, winning St Kilda Festival’s New Music Stage Competition, which will see them play the main stage next year. Sold-out headline gigs at the Northcote Social Club and The Evelyn, a month-long residency at the Gasometer, and shows supporting The East Pointers (CAN) have solidified The Northern Folk in the Melbourne music scene, as they now work towards releasing their third album in 2019.